Julia Lake is a professional event planner based in Brooklyn, NY- and has created a name for herself throwing parties that are unique, personal, and absolutely gorgeous. We love that every one of her events embodies a sense of comfort- you just know that first and foremost, guests are having a wonderful time. 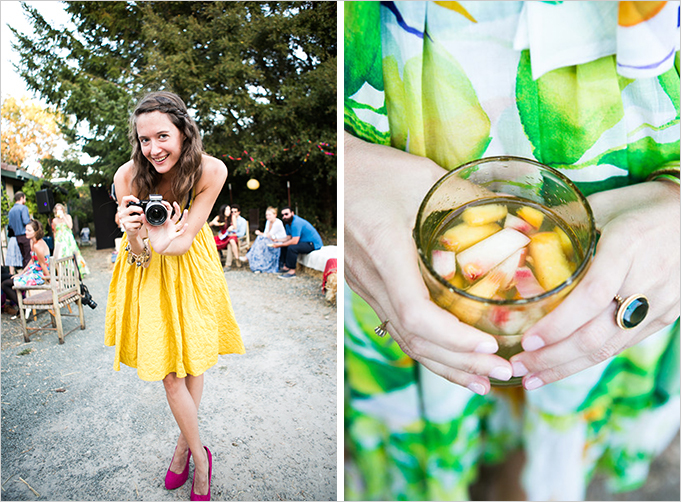 The fact that they’re in a beautiful setting, sipping themed beverages, is just icing on the cake. 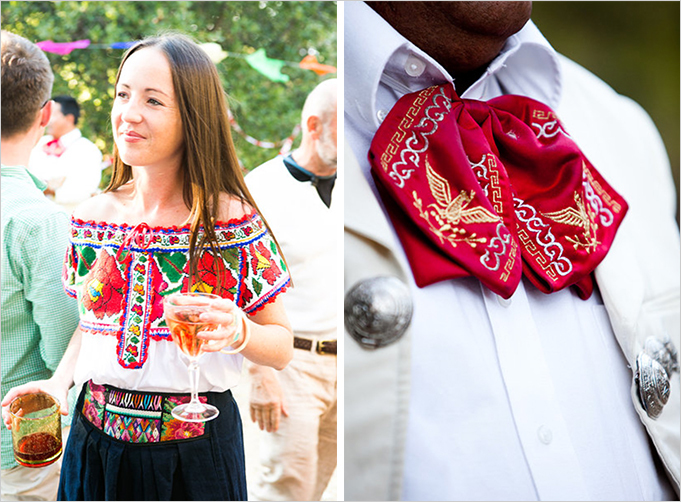 We sat down with Julia to discuss a party that we’re maybe a little bummed we didn’t score an invite to- a vibrant Mexican Fiesta in the heart of Napa Valley. Tell us a little bit about the event- what was the occasion? 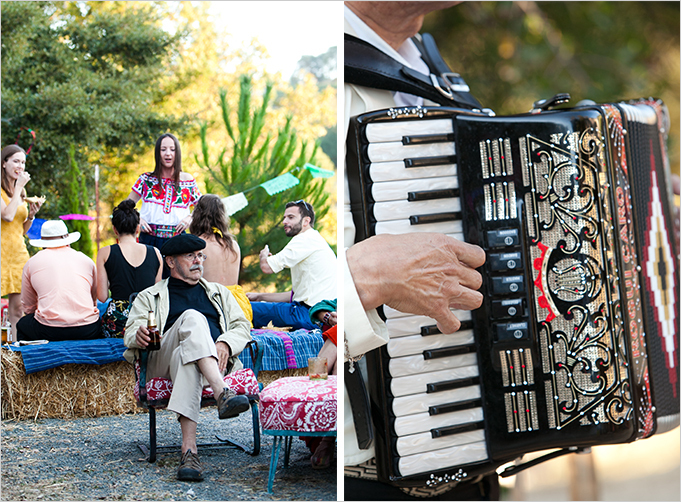 This was actually my rehearsal dinner party at my family’s property in the Napa Valley. How exciting!! We love that personal touch. Where did you gather inspiration? California has such a rich Mexican heritage so I thought a fiesta would be a perfect introduction to California for our out-of-town guests. 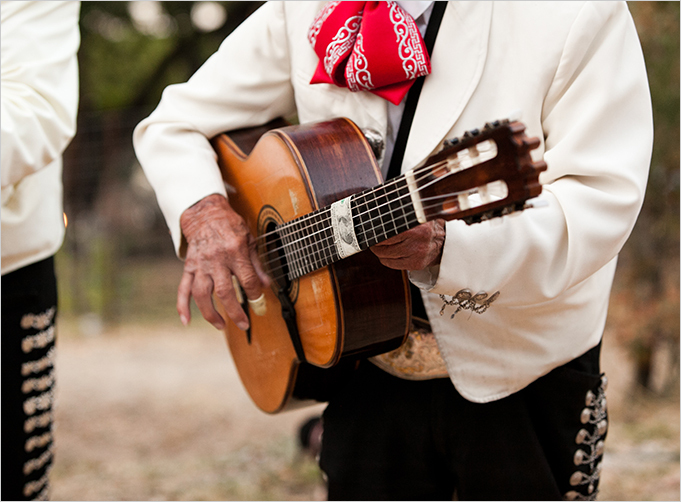 We had a Mariachi band, red & white sangria, chips & guac, flan, etc…and who doesn’t love a taco truck? I wanted a light hearted party the night before the wedding & because our wedding was a very intimate, ‘Downton Abbey’ themed event where all guests were requested to wear all white head to toe, I wanted a chance to use colors & fun decor! We love the difference between the two events! So, what would you suggest for readers wanting to recreate this fiesta at home? Just hire me! Haha. No seriously, I’d say find a taco truck you love, order a ton of papel picado & paper flowers from Mexican wholesale websites and get some Mexican blankets to drape over hay bales for seating. I wanted everything to be very colorful so I searched for festive decor that really popped! 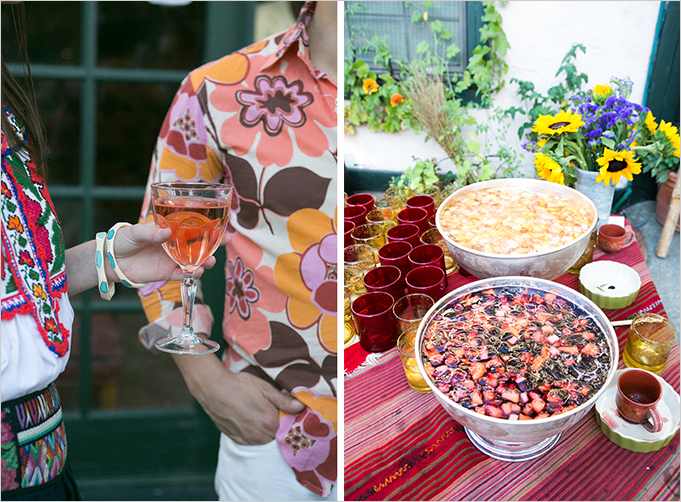 On top of that, I asked guests to dress colorfully and festive & that really sets the tone. We agree, the wardrobe makes a huge difference. You throw a lot of fabulous parties! What are your top tips for entertaining? Get help. Dont try to do something too difficult. Prepare as much as you can the day or week before. Pick a theme or vibe and stick to it. This helps make the event look & feel cohesive and well thought out. Try to use as many authentic ‘props’ as you can- perhaps stuff that you already own or scout out treasures at antique stores or flea markets. Ideally you want a party to feel real– like its just an extension of your personal style & what better way to pull that off than by using things you already own. Oh, and don’t be scared to use the good stuff. Some people have great glass & silver wear but only dare to use it a few times a year- what a shame! On top of that, take a bath just before guests arrive. Its essential to clear your mind and get into party mode so you’re not stressed out. And if its a disaster, just laugh and have fun. No one likes a moody host. How would you define your personal aesthetic? Style, Grace & a Fiery spirit. A fiery spirit- love that!! What’s next for you?? 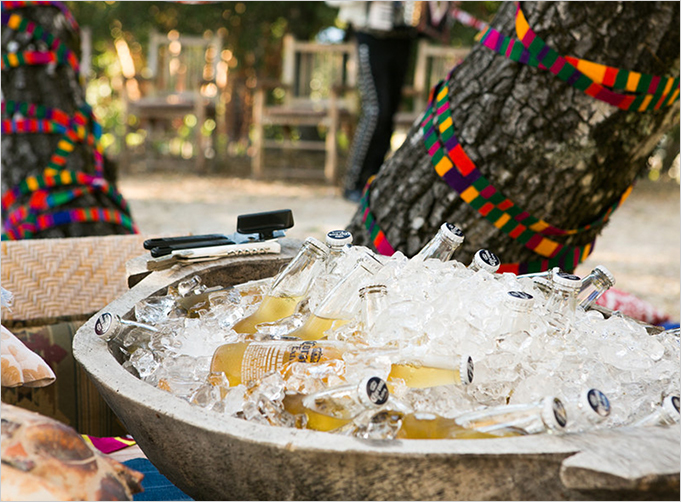 Any fun parties in the pipeline that you can tell us about? 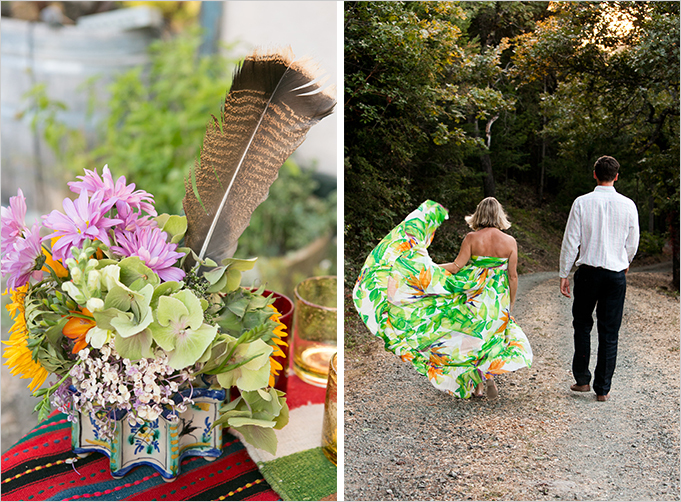 Right now I’m in the thick of planning a wedding at Auberge du Soleil in the Napa Valley with a nod to the 1920’s. It’s always fun to do a time period event. It’s a small, intimate affair with only 70 guests (my favorite kind) and we’ve really gone all out for the bride who adores sparkles, gems and jewels. I haven’t done a lot with sequins in the past but this event has changed that. My studio is covered in sparkles! Even my poodle walks around with vintage glitter in his coat. I’ve hand head pieces made for each woman to wear at the wedding using costume jewelry, pearls and antique lace that I found at estate sales. Each one is different from the other & they’ve really been a labor of love so I’m pretty excited to see how it all pans out. We cannot wait to see how it turns out!! Thanks so much for sharing your event with us, Julia! 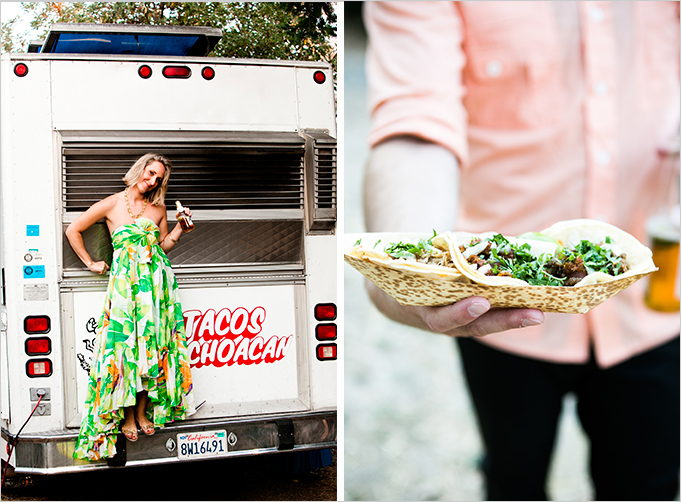 We’re officially on the hunt for a taco truck, and inspired to put together a Mexican Fiesta of our own!! For more information on Julia Lake (and her amazing parties) click here. Agreed!! Doesn’t it look like a blast?? thanks for sharing – she does great work!